Look Who’s Coming to Town!! 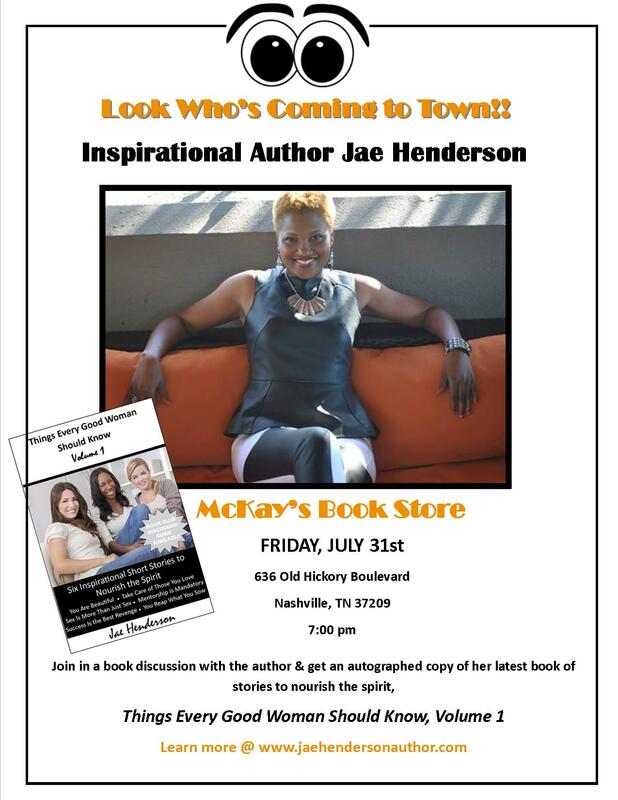 My next book signing will be in Nashville, TN at McKay’s Books. If you are in the area, please come by. 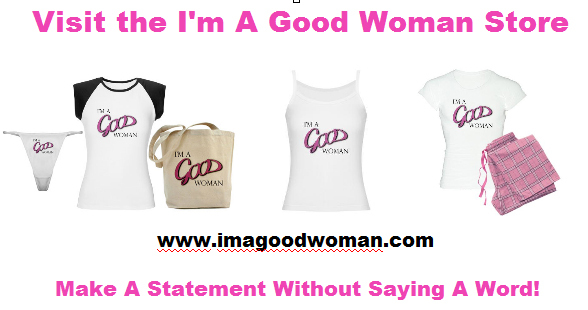 I’m A Good Woman Tees for Sale! Are you a GOOD Woman? Do you know a GOOD Woman? Many of you know that my trilogy Someday, Someday, Too and Forever and a Day fall under the I’m A Good Woman series. Well, did you know that there is IGW apparel as well? Make a statement without saying a word with the bold IGW logo on soft beautiful t-shirts, tank tops, underwear, pajamas and totes. All you need to do is go to my online store and place an order. I know they’ll look good on you!!! Find it here. I look forward to sharing this offering with you. Learn more about the book and/or make a purchase here. We can really be our own worst enemy. Something in us is afraid of failure, hard work, or even success. We must learn to SHUT UP OUR INNER NAY SAYER and GET OUT OF OUR OWN WAY! I admit it, I used to be afraid of success or maybe it was the responsibility that comes with the things you must do to achieve success. The more you achieve, the more responsibility you have. I was a little lazy and too comfortable. It is a fact that when you are the one in charge you work harder and you are under constant scrutiny. A lot of responsibility requires you to have less time for yourself and to put the well-being and concerns of others things and people before you own. Yes I know, that was selfish. I had to get rid of that way of thinking. The problem with running from responsibility and success is you won’t ever reap the benefits of them if you don’t put in the work. I said I wanted to be rich. I said I want to be a nationally recognized author. That will never happen if I’m sitting on my tail instead of making plans and working to see them come to fruition. I wish I could say that after I realized thIs I rolled up my sleeves and got right to work. I didn’t. Instead, I made excuses. Most of us have a little Moses in us. We basically do what Moses did when we don’t tap into our gifts. God has blessed each of us with amazing talents and gifts and often we choose not to utilize them for no other reasons than the excuses we make up because we are afraid or lazy. I think the most often used one is, “I don’t have time.” Truth is we make time for the things that are important to us. It’s time to shut up your inner nay sayer. When it says you can’t, say SHUT UP! Yes I can! When it says that looks hard, say SHUT UP. Anything worth having it worth working for. When it says you’re going to fail, say SHUT UP. I’ll never know unless I try. When it says you don’t have the skills to do that, say SHUT UP! I can do all things through Christ which strengthens me. When it says, you don’t have time, say SHUT UP. I will make time starting with using the time I’m wasting right now talking to you! God didn’t make a bad investment. You’ve just been drowning out His voice with loud bad thoughts. God wants His children to be successful. 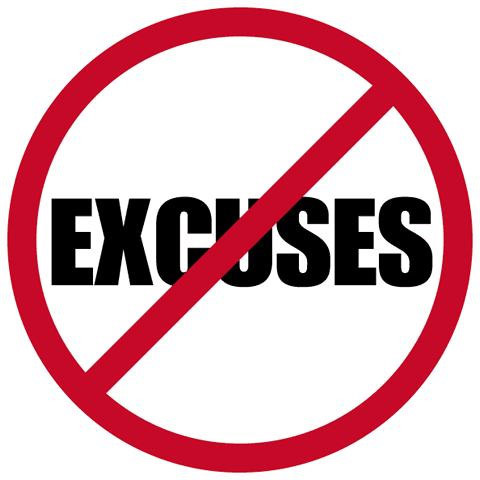 We have to stop making excuses and live up to our full potential or at least come close to it. Tell God, “I’m sorry God for not utilizing my gifts like I should. I’ll do better but I need your help.” I can testify that I have been taking strides to do so and I am already seeing some of the benefits. New doors are opening for me almost every week. I’m putting in the work and I know I will reap the benefits and I have no intentions of running from the responsibility that comes with them. Will you join me? 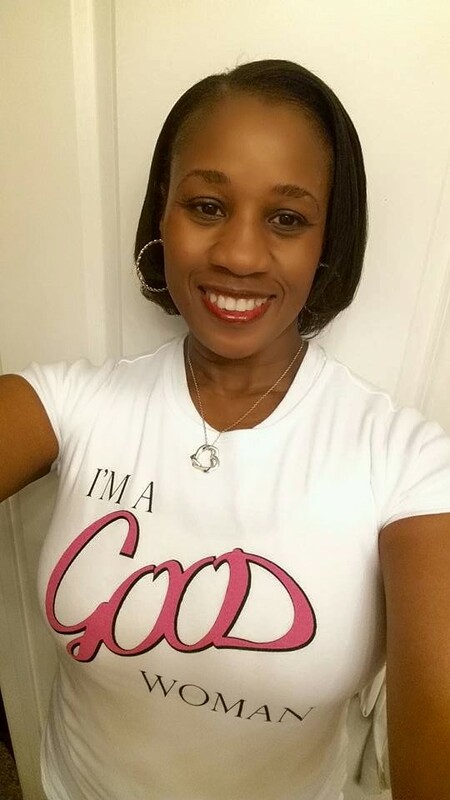 Please help me in congratulating Nandi Crawford, the latest winner in the Things Every Good Woman Should Know Friends Giveaway. 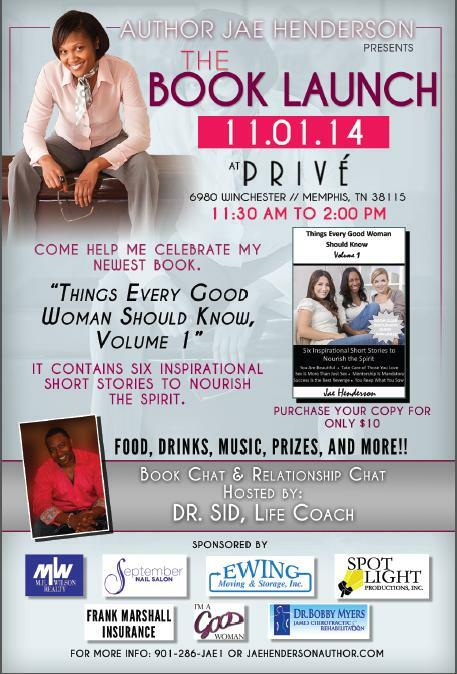 She will receive an autographed copy of “The Crisis Before Midnight” by Mario D. King. 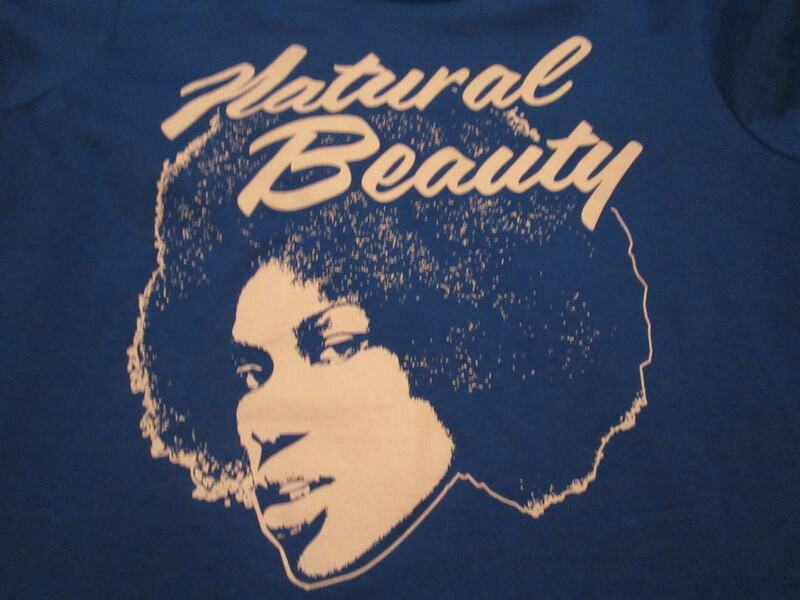 How many of us truly believe that we are beautiful? 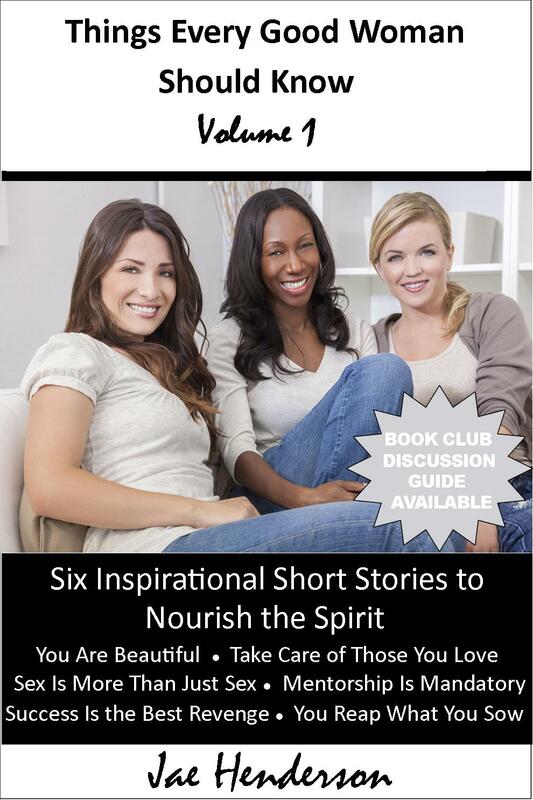 You are Beautiful is the first story in my book of inspirational short stories, and I wrote it because I truly want women to know that. There are identifiable benefits to knowing that you are gorgeous inside and out. One is that a positive self-image fosters a rise in self-esteem and confidence. High self-esteem will create that “can do, I deserve the best, and I’m going to go get it” attitude that motivates people to strive for and achieve success. 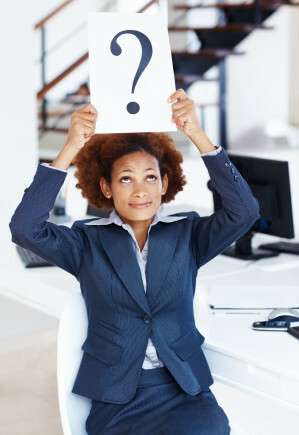 In a recent newsletter I received from The New Memphis Institute, an organization dedicated to nurturing the city’s up and coming leaders, they shared that it has been scientifically proven in studies that people reporting higher levels of self-confidence tend to be healthier and treat themselves better than people without it. Also with the rise of bullying among our youth, high self-esteem is greatly needed. It allows us to ignore those who choose to try to shroud us with statements about ourselves that we know aren’t true and the courage to put them in their place when needed. In my 20’s I didn’t think I was pretty enough, my body was curvaceous enough, or that I was deserving of great things. I wanted everyone to like me and hadn’t yet realized that is impossible. There is always someone who will have a problem with you and often it will be people who don’t even know you. 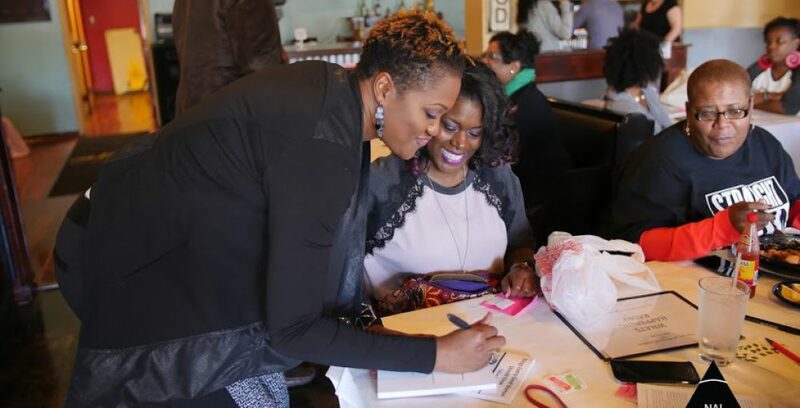 Needless to say, the value I placed on myself was wrapped up in my value to others. I was one sad soul. In time I learned to love myself, flaws and all. I’ll never be perfect but when I look in the mirror, I see a beautiful confident woman who believes that “I can do all things through Christ which strengthens me.” I may not always apply myself as well as I should but at least I know that the potential is inside of me. I just need to tap into. Now, what led to this attitude? I’m not ashamed to say that it was a man. My boyfriend in college recognized that my self-esteem was dragging on the floor like toilet paper stuck to the bottom of my shoe and took it upon himself to change that. He told me regularly that I was beautiful and that he loved me and that I was worthy of his love. Actually he didn’t just tell me, he showed me. He allowed the love God has for us to manifest itself in him in order to transfer it to me. In time, his positive affirmations invaded my psyche and I began to act like all the positive attributes I knew I possessed. For that, I will forever be grateful to him. However, you don’t have to have a man to accomplish this. You can do the same thing for yourself. I want you to look in the mirror and identify at least five things about yourself that you think are beautiful. They can be something on the outside as well as the inside. I bet you have nice eyebrows, a winning smile, a kind heart, or a great sense of humor. Revel in your own beauty. Unleash the power of positive thinking and know that you are one of God’s greatest creations. You do yourself a disservice by not acknowledging the awesomeness of His handiwork. The God I serve doesn’t make mistakes only masterpieces. You are beautiful my sisters! Internalize that knowledge and love yourselves like only you can. You’ll be happier. I promise. By the way, the winner of the second book in the Things Every Good Woman Should Know Friends Giveaway is Ava Flatt. I am proud to present to you with “The Naked Pen” a compilation of anonymous short stories by Oosa Book Club. Congrats and enjoy! Click here to learn how you can win a free book. “Things Every Good Woman Should Know Volume 1” is on sale for only .99 cents for a limited time on Amazon.com.